A MONEY BACK guarantee, who does that? We do! That's right. After your FREE TRIAL if you join the program and don't get results then we will refund your money. There is a catch though. To be eligible to get your refund you MUST follow the program. You cannot continue with your current habits and then get mad at us if it isn't working! We are so confident that our programs work that as long as you do your part we guarantee your results. 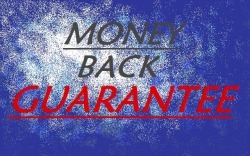 If you are eligible for a refund we will refund you back to the last month that you got results. It is that simple! So what have you got to lose? Stop waiting for change to happen and let us help you MAKE IT HAPPEN. Just click HERE, fill out the Free Trial Offer form and we will contact you to start getting results immediately!